We all have them – those places where we feel at ease and the places where we want to escape, run, leap, dive under to find to a better feeling. Sometimes being forced (or choosing to step) outside of our comfort zone can grow us forward; sometimes, it frays the insulation on our nerves to a point of shorting out. 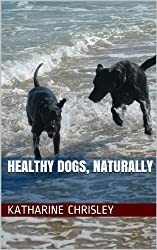 Human, equine, canine, all of us face daily comfort glitches. For horses, their comfort zone is usually a certain distance away from a scary object. As they move a bit closer, they enter a “flight zone” where they go on alert and prepare to bolt. Closer even, their “fight” zone puts adrenaline into the bloodstream and they are ready to lash out if necessary. Thinking about it, this applies for peeps and dogs, too. We all prepare through stages to protect ourselves. One way to expand our comfort zones and feel at ease in more situations is to condition our responses and our bodies for coping. With our horsemanship, we do exercises that increase our balance and dexterity so that we become more comfortable when faced with a riding challenge. A Dharmahorse exercise is to ride with a round cushion on our head to refine our balance – gradually moving up through the gaits as we gain proficiency. We walk, on the ground, with a book on our head first. The soft cushion is used mounted because horses don’t appreciate books falling onto their butts! Some don’t much care for the cushion, either. You can work on hip control and pelvic tilts by placing that book on a table, hanging over the edge a bit. When you push the book forward with your hip bones, that is the tilt used to secure you in sitting trot or at canter. It is like pushing a swing forward as a child. If you use one hip to push the book at an angle, you are practicing the aids for canter leads and lateral movements. The main thing to remember is to keep the hips loose and flexible so you have free range of motion. The rider’s seat starts out as interfering, becomes “following” and eventually influences the horse. We must have total control of our hip movements. This actually makes us more secure and we can move from one level, one gait, one path to the next with confidence. From Yoga to dancing to tight rope walking; anything that increases your strengths (physical, emotional and mental) will expand your comfort zone. Be bold, be aware and push the boundaries, just a bit! 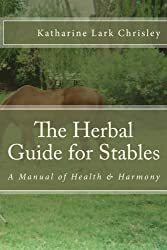 Happy… and I’m smiling… with apologies to Ian Anderson, I find myself reviewing so much of my life with horses and the lessons they have taught. As a riding instructor, I often quote old instructors from my own past and even more often, tell the tales of horses (also teachers) from my past experiences. 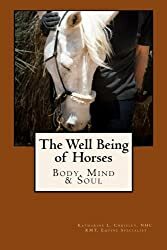 When working in Equine Assisted Psychotherapy, I saw the deep learning that occurred with equine contact and felt it myself, as well. The past might be, at times, a lingering vision of dreams not realized or a small voice drawing one into regret – but it need not be. Just as we choose our focus in the moment, we can choose the things remembered. I have had riding instructors ask me to dismount and tell me that I had “no idea how to put a horse on the aids”. What I chose at that moment was to learn how to do so! I have had instructors teach me how to breathe properly; how to understand gravity; how to calm and center myself and how to raise my energy and my vibration. These things have served me well beyond the riding – they have kept me safe in bus stations; helped me find strength when I needed it (when loading hay or changing a tire) and allowed me to feel grace and peace most of the time. I draw these positives from my past. The horses set examples beyond my expectations year after year by being the greatest friends anyone could have. They always have shown me the energy I was projecting by reflecting it honestly back to me. That has been a valuable gift. When I talk and teach about the “Well of Experiences”, those drops that have filled it (both positive and negative) actually are subjective in a way. At least for us as humans – we can choose to learn from every experience and therefore make them positive in their end results. Deep Breath… thinking in simple solutions first, holding the form!